It goes without saying, but discretion is critical when carrying a concealed weapon. When you’re wearing the Telor Tactical Comfort-Air Bodyband Holster, nobody will be able to tell you’re carrying, but you’ll still have your compact or sub-compact gun of choice at-the-ready at a moment’s notice. Its stretch-to-fit design gives you a custom-made feel: Just simply wrap it around the middle of your torso, and then conceal it by pulling your shirt, skirt, or blouse down over it. All you need to do then is slightly lift up your clothing and pull your weapon when needed. For added security, a slip-not pad secures your weapon in the holster. Comfort is a key component to its easy wearability: Specifically designed with a unique, lightweight Air-Exchange fabric that offers ample airflow to your skin, the product can be easily adjusted to accommodate your individual needs, no matter the waist size, which results in an ideal fit. The Telor Tactical Comfort-Air Bodyband Holster features a larger, non-slip-material area that allows your firearm to stay in position, while additional, perforated, non-slip material facilitates constant airflow, which is instrumental in fostering improved circulation. With almost 30 years of experience, PerSys Medical has consistently brought innovative products to market in a variety of fields, including software, telecommunication, and medicine. 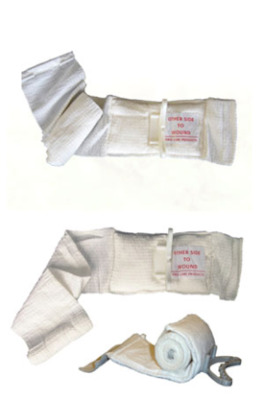 After narrowing its focus to the medical segment and becoming a distributor for several manufacturing companies in the U.S. and abroad, the company introduced its most-notable product to date: the PerSys Medical Civilian Israeli Compression Bandage, and it has become a mainstay on the battlefield ever since, offering the highest level of wound-site compression coupled with a multi-functional and cost-effective dressing for uncontrolled bleeding. It goes without saying: Beginning treatment on a victim’s gunshot or knife wounds as soon as possible is critical, as doing so will drastically improve the victim’s chances of survival, particularly in cases of hemorrhaging. When every second is crucial, the PerSys Medical Civilian Israeli Compression Bandage saves time in an emergency situation because it consolidates the functions of numerous, separate pieces of equipment into a single, easy-to-use unit. Thanks to its versatile, user-friendly design and features, it is extremely useful to both the untrained lay person as well as the paramedical professional. 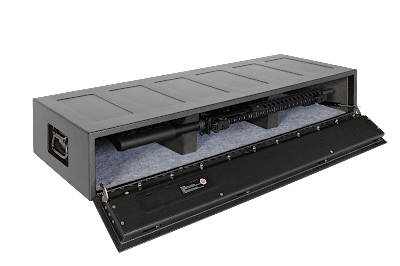 Completely tamper-proof, the Hornady RAPiD Safe AR Gunlocker’s fully enclosed design features numerous, convenience-enhancing designs: Its foam inserts can efficiently accommodate up to two tactical-length rifles and/or shotguns, and thanks to its spring-loaded door, it can be easily stored under a bed, in a closet, or in the trunk of a car. The Hornady RAPiD Safe AR Gunlocker’s ultra-durable exterior housing is comprised of 16-gauge steel, and its four internal, hardened-locking locks will ensure your firearms are kept secure. 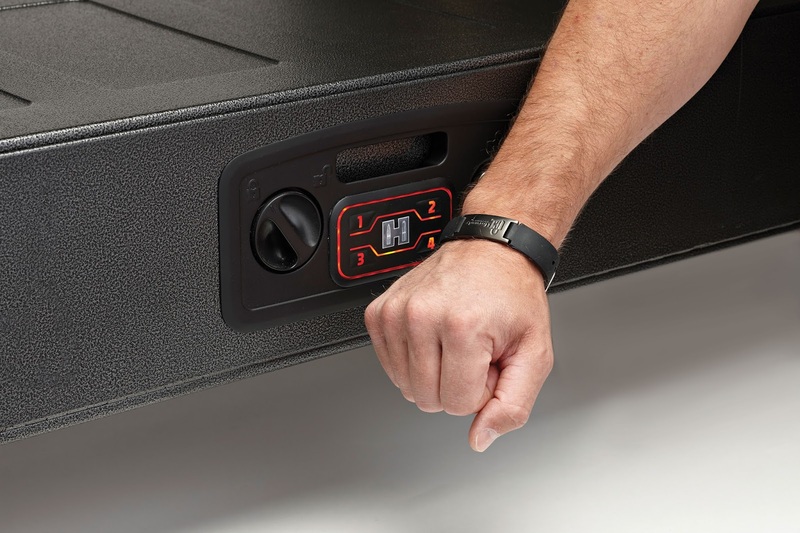 For enhanced security, a number of security-access methods are available: Open it using a four- to six-digit security code, but when you need quick access to your firearms, you can use an RFID decal, a wristband, or key fob (all sold separately). Designed to meet only the highest standards of quality, the Hornady RAPiD Safe AR Gunlocker easily exceeds ASDM 2456, child-resistant and firearms-storage- resistance requirements, as well as California DOJ Firearms Storage Device Requirements. Additionally, an included cable and pre-drilled mounting holes allow it to be secured in a set location, either horizontally or vertically. Ensure your long guns are safe and secure; be sure to visit GideonTactical.com for more information and to get yours. As a brand that is synonymous with quality, Spyderco routinely manufactures each of their meticulously crafted knives and sharpeners with a single goal in mind: to offer nothing but the most reliable levels of performance. Backed by 30 years of research and development, each of their high-quality, reliable cutting tools is designed to offer peak performance and superior ergonomic comfort. Along with the aforementioned attributes, the new Spyderco Para Military™ 2 Knife offers a new Bushing Pivot System that generates fluid action and more consistent manufacturing tolerances. 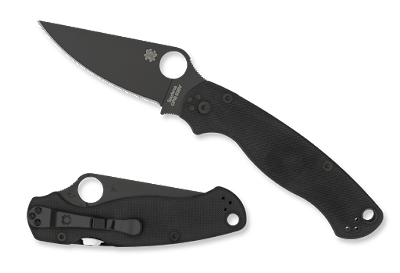 Featuring a high-performance CPM S30V full flat-ground blade with an elongated blade and additional surface jimping to both the spine and finger choil, the Spyderco Para Military™ 2 Knife’s G-10 handle is narrowed at the end, thereby providing an ergonomically friendly feel. Thanks to the blade and handle being profile thinner, all uncomfortable, hard angles have been removed when it is carried in a pocket in the closed position. For more than a decade, Magpul has dedicated themselves to developing innovative products imbued with creativity and efficiency, emphasizing the creation of devices that aid in the manipulation of rifle magazines while reloading under stress. 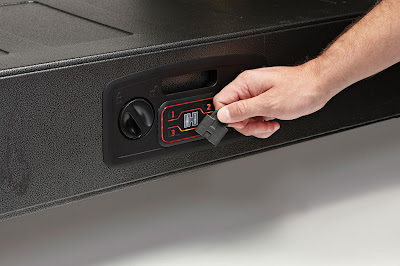 Their passion to continuously develop, refine, and achieve has allowed them to create a modular-locking, accessory-mounting system that is a direct-attachment method for hard mounting accessories to a negative-space mounting point: the new Modular Lock system (M-LOK) Cantilever Rail/Light Mount. 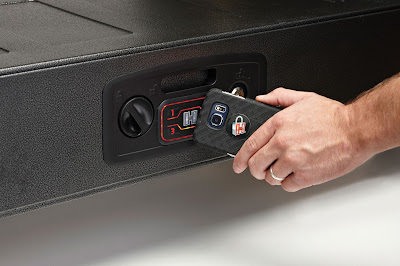 Representing the evolution of the MOE® slot system used since 2009, the M-LOK system allows greater compatibility of accessories between manufacturers. Fully compatible for use with all M-LOK mounting surfaces, the Magpul M-LOK Cantilever Rail/Light Mount allows you to attach various MIL-STD-1913 Picatinny spec rail-mounted accessories, including lights and optics, and directly interfaces with the popular Surefire M300/M600 series Scout Lights or Magpul Light Mount V-Block and Rings. Measuring 3.15 inches long, its improved ergonomics and optimized accessory positioning in a wide variety of uses are achieved due to Picatinny slots that extend forward .75 of an inch to 1.5 inches past the M-LOK mounting slot. Looking for a reduced profile on your weapon? The Magpul M-LOK Cantilever Rail/Light Mount’s lights and accessories are low, thus achieving this effect. 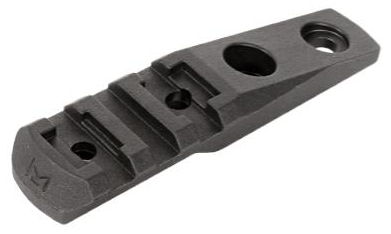 The Magpul M-LOK Cantilever Rail/Light Mount’s heavy-duty, reinforced polymer construction is both lightweight and cost-effective. 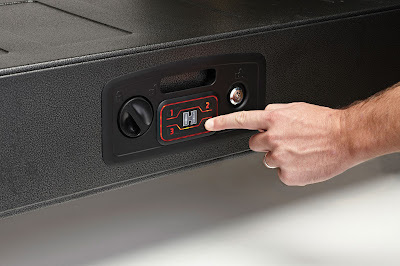 Additionally, the mount features beveled ends and corners that are designed to reduce snagging and sharp edges.